Freecom delivers the Hard Drive SQ, a new portable USB 3.0 HDD that packs up to 3TB of storage capacity into a sleek, square form factor that can be plugged into your TV set via USB. Freecom, part of the Mitsubishi Chemical Holdings Group and award-winning manufacturer of external hard drives and portable storage devices, today unveiled the Hard Drive Sq, a 3.5” external hard drive with an innovative square form factor. With its unique appearance and state-of-the-art technology, the Hard Drive Sq strikes a perfect balance between elegant design and practicality. 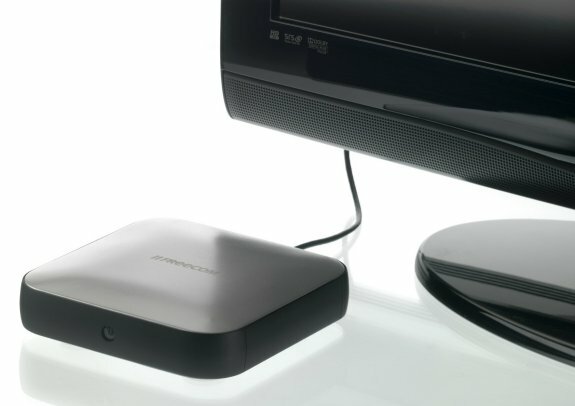 In addition to being able to back up and store files on a computer, the drive connects directly to a TV set for USB recording and playback, enabling users to store and watch their favourite shows quickly and easily. The Hard Drive Sq is the latest addition to Freecom’s family of ‘Sq’ products, which also includes the Mobile Drive Sq. The innovative design of the Mobile Drive Sq – which shares the same square form factor with the Hard Drive Sq – has already been recognised with three prestigious international design awards; the iF Design Award 2012 GOLD, the Universal Design Award 2012 and the Reddot Design Award 2012. The Hard Drive Sq is already following in the footsteps of the Mobile Drive Sq, having recently been awarded a Reddot Design Award 2012. Designed in collaboration with acclaimed industrial designer Arman Emami, the Freecom Hard Drive Sq is encased in an aluminium enclosure that makes it less susceptible to fingerprints and scratches. A surrounding plastic trim protects the drive against impact and the combination of a thin metal surface with a plastic core creates a compound that is sleek, durable and lightweight. Available in 1TB, 2TB and 3TB storage capacities, the Hard Drive Sq has a USB 3.0 connection that enables users to transfer data at speeds of approximately 130 MB/s – making it perfect for business and home users who want to back up and store content quickly. The drive is also backwards-compatible with USB 2.0, so users can simply plug it into any PC or Mac and drag and drop files to easily share data with friends, family and colleagues. The Freecom Hard Drive Sq will ship in 1TB, 2TB and 3TB capacities for 139EUR, 179EUR and 239EUR (incl. VAT), respectively.